Over the course of one extraordinary August weekend, a new chapter was authored in the legacy of Chicago’s Marquette Park. 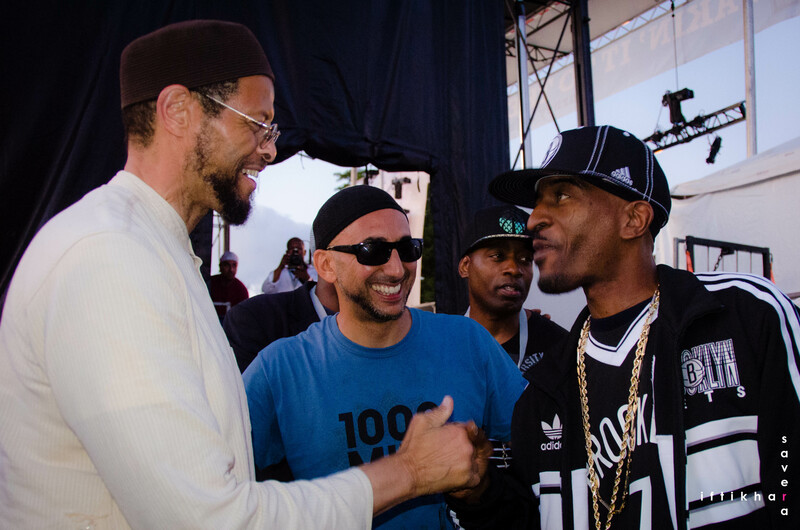 #Streets2016 and the IMAN-led Martin Luther King, Jr. Living Memorial left a lasting mark on the city’s cultural fabric for years to come. 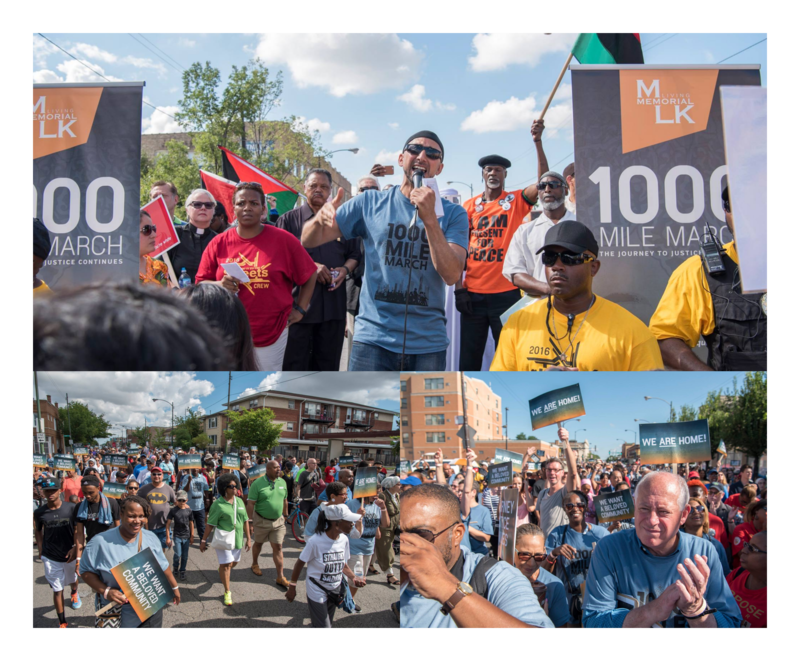 On the 50th anniversary of the historic march that Dr. King and the Chicago Freedom Movement led, over 500 residents, activists, artists and elected officials gathered at Marquette Park to commemorate that profound moment. That same day, the MLK Living Memorial, the first of its kind in Chicago, was unveiled and opened to the public. 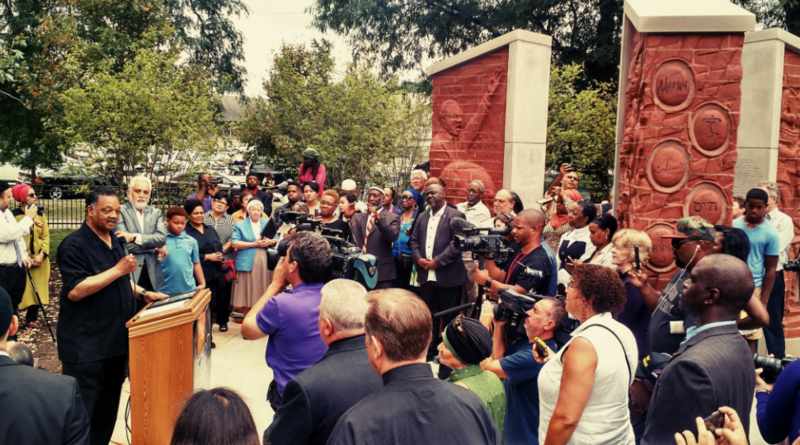 The memorial now serves as a grassroots, arts and organizing-based cornerstone of the city’s south side. Nearly 1,500 people gathered on the morning of August 6th for the 1000 Mile March. 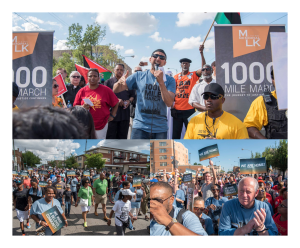 This symbolic march was one of the largest marches in Marquette Park’s history, eclipsing even the total number of participants in the King-led 1966 demonstration. Calls for justice rang out in different languages and across several generations, all united along the continued journey to justice. Marchers then filed into Marquette Park itself, kicking off the #Streets2016 festival which brought together an extraordinary lineup of artists and activists from across the country and the world. Luminaries like Imam Zaid Shakir, hip-hop legend Rakim, award-winning author Ms. Ilyasah Al-Shabazz, rising star Vic Mensa and global pop sensation Yuna all appeared before thousands of community members who forged bonds across differences based on a shared vision for more just, empowering community life. The #Streets2016 buzz reached new heights, garnering over 6,000,000 social media impressions, trending across Chicagoland on Twitter, and being featured on CBS, ABC and over 150 other media stories. 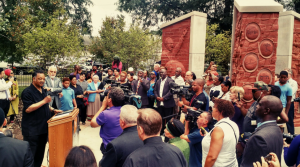 Thank you to all of the generous partners and sponsors, the dedicated members of our MLK Memorial Planning Committee and Local Task Force, the dozens of hard-working volunteers and the thousands of community members who helped make this past weekend truly unforgettable.